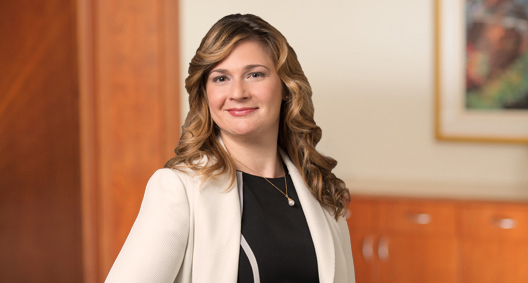 A complex commercial litigator in the energy industry, Emily Thomas has extensive experience in trial and case management in both arbitration and traditional court trials. She has also assisted numerous energy and construction clients in successful resolution of litigation through mediation. Additionally, Emily has experience in transactional work for energy clients. Her practice has a project-based energy concentration, focusing on her assistance and dedication to the entirety of her clients' projects related to oil and gas production and distribution, which includes litigation, investigations, negotiations, transactions and community involvement. Emily also assists clients in emergency response after catastrophic events, including prevention as well as response in the event of an emergency. Expanding beyond a simple partnership, she considers her relationship with clients to be that of a team that focuses on quality work and results. On behalf of an oil and gas operator, assisted in obtaining a first-of-its-kind mandatory injunction under the Energy Policy Act of 2005, directing the Bureau of Land Management immediately to approve ten applications for permit to drill (APD) or provide substantial evidence supporting the decision to delay. EnerVest Ltd v. Jewell, No. 16-cv-1256-DBP (Memorandum Decision and Order December 30, 2016). As a result, the ten APDs were approved in time for the operator not to lose a four-month drilling window in Utah. Assisting independent oil and gas producer acting as a defendant-intervenor in ongoing federal litigation over the use of hydraulic fracturing in offshore drilling of the Pacific Outer Continental Shelf, in which the Bureau of Ocean Energy Management and Bureau of Safety and Environmental Enforcement are named defendants. Represents hospitality and vacation holiday corporation clients in federal and state litigation regarding contractual issues, regulatory compliance, and Fair Debt Collection Practices complaints. Also provides guidance on contractual matters, including dispute resolution, contract drafting and related transactional issues. Assisted an oil and gas operator acting as a defendant-intervenor in litigation, which was raised by an environmental group to challenge numerous Bureau of Land Management Resource Management Plans in Utah. Served as co-counsel for a natural gas producer related to a contract dispute with investing partners, including state, federal district court and bankruptcy court proceedings in Pennsylvania and Texas. Represented leading midstream and utility company in Pennsylvania state court and in negotiations with Pennsylvania Public Utility Commission in dispute with landowner over pipeline and tariff issues, including Public Utility Commission jurisdictional issues. Received a litigation award from the client in recognition of the successful results for this matter. Represents leading renewable energy construction company in every stage of construction contracts (Including both Engineering, Procurement and Construction (EPC), and Balance of Plants (BOP)) and related supply agreements, including: disputes related to supply agreements and construction contracts terms; sub-contractor disputes; liens for non-payment; and land use issues, rights of way, easements and other landowner concerns. This assistance included a survey of over 40 states' laws on various relevant land use regulations and contractual requirements. Represents oil and gas companies in negotiations with the Bureau of Land Management over leasing, unitization, communitization, and permitting issues. Advises natural gas producers and midstream companies on the preparation of related agreements, including offtake agreements and negotiations with utility companies, as well as land use issues, rights of way, easements and other landowner concerns. Advises oil and gas producers on the procurement of oil and gas rights and the preparation of related agreements. Served as co-counsel for a prominent natural gas midstream company in administrative hearings as well as in litigation alleging tortious interference with contract and defamation related to the development and installation of a natural gas pipeline. Assisted in the defense of an oil and gas client in a multiplaintiff litigation alleging personal injury and water contamination from drilling activities. Represented oil and gas companies in broad permitting, regulatory compliance and environmental issues related to oil and gas production and distribution. Served as co-counsel for a leading equipment breakdown reinsurer in a multimillion-dollar reinsurance dispute regarding complicated chemical, fire and explosion issues, which was resolved to a decision in ARIAS reinsurance arbitration. Assisted multiple policyholders in litigation related to insurance coverage for a broad variety of claims including property damage, environmental liabilities and energy production-related accidents. Defended a wood treatment facility against Environmental Protection Agency and Department of Justice allegations of Resource Conservation and Recovery Act violations, including representation as counsel in successful federal mediation proceedings. Assisted in the defense of a complex federal public services corruption jury trial against the United States government, including related United States Third Circuit Court of Appeals proceedings. Assisted in the project development of a wind farm, including the resolution of a contract dispute related to internationally procured, damaged equipment. Served as lead counsel defending a leading renewable energy construction company in a construction dispute in Pennsylvania federal court. Advises the Women's Energy Network on multiple legal issues. Provides indigent clients with insurance advice. Assists on copyright issues with Volunteer Lawyers for the Arts.